A skills gap that could leave as many as 2 million manufacturing jobs unfilled by 2025 is one of the driving forces behind a new Clemson program that matches graduate students with technical college students on an assembly line built for research. 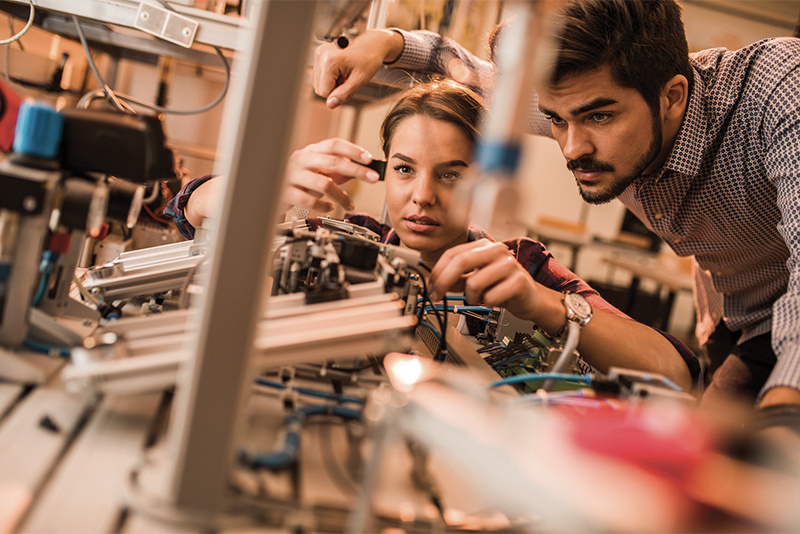 The new program, THINKER, short for Technology and Human Integrated Knowledge, Education and Research, is backed by a $3 million grant from the National Science Foundation and is aimed at preparing leaders who can help close the skills gap in advanced manufacturing. Economic expansion and baby boomer retirements will likely create a need to fill 3.4 million manufacturing jobs in the nation between 2015 and 2025, but only 1.4 million are likely to be adequately filled, according to a study by Deloitte and the Manufacturing Institute. It’s a crucial issue for South Carolina, where the U.S. Bureau of Economic Analysis says manufacturing accounts for 17 percent of the economy — more than 50 percent higher than the national average. The THINKER program will equip students with both technical skills and “soft skills,” such as communication and collaboration. Its graduates could help attract new businesses to South Carolina and supply businesses already in the state with the talent they need to grow. While undergraduates and technical college students will be involved, the National Science Foundation funding is reserved for graduate students pursuing degrees in science, technology, engineering and math. The THINKER program’s impact could quickly ripple through the broader regional economy. Studies show that every job in manufacturing creates another 2.5 jobs in local goods and services, and for every $1 invested, another $1.37 in additional value is created in other sectors.